This month I read Margaret McMillan’s The War That Ended Peace and Ari Shavit’s My Promised Land. These are well-researched and well-written books on the First World War and the history of Israel, respectively. Holy crap – that was a lot of work. Even though both are extremely well-written, and I love this kind of thing, this is not reading that just skips along. I wasn’t really ready for the McMillan book. I’ve only just started reading about WWI and this was my first non-fiction book. 500 pages and the war hasn’t even begun, it’s all about the factors that led to the war. Learned a lot about Kaiser Wilhelm, Tsar Nicolas…they’re basically all one family, as it happens, and so it’s probably not surprising that they behaved just like families tend to. Dysfunctionally! Ari Shavit’s book was a good starting point for learning about Israel, but again the book is quite detailed. I did get an overview of the history of Israel. I’ve been leaning towards Zionism from reading Daniel Silva’s Gabriel Allon thrillers which is probably not the best foundation for developing one’s political opinions, and Shavit’s book provided information and perspective that I might not have gleaned from reading spy novels. He’s not partisan about Israel and strikes me as very evenhanded. My fiction-inspired Zionism has taken a blow. I’ll do more reading. Justin sometimes asks: Why do you read all this? It looks like work! That is something I wonder myself sometimes. But I find that most of what I know comes from reading on my own. I went to university and emerged clutching my largely useless B.A. in English Literature, but I hardly remember anything I studied. I wish I could attend university now; I have so much more context for the material presented. I remember taking a Political Science course in First Year – I had no idea what the professor was talking about. I also took a course on Southeast Asia. Again, no context. In one exam I mixed up two completely different countries. Mind you, the professor didn’t exactly make the course sing. I feel that I could teach a much more coherent and lively course on Southeast Asia, having lived there, traveled there, and read a zillion books about the place. So I consider myself largely self-taught, although I could give credit to the many authors whose excellent books sparked my hunger for knowledge about the world and human experience. The first travel books I read were by Paul Theroux. The first novelists who gave me a sense of history in literature were Robertson Davies and John Irving. Jung Chang and Nien Cheng’s memoirs made me feverishly curious about China. My mother always gave me books which I found stimulating, inspiring, fun, and always interesting, and they always led me down fascinating roads. She introduced me to such wildly varied writers as John Steinbeck and James Herriot. My girlfriend Rebekah’s father is a voracious reader who inspires her, and I still get a lot of my reading material from them as well. And I’m off, free range, grazing on the rich offerings from Kazuo Ishiguro, Antonia Fraser, A.A. Gill, Jared Diamond, and other blessed writers who I hope are writing busily away in order to furnish the rest of us with more good material. I often read bibliographies of books so that I can read those books, and I’m always searching for a new field of interest. But why? Why cram my head with all the information I can get my hands on? So, I want to understand. I want to have information about the world in which we live. For what? I don’t know. Maybe I want to be informed against someone’s ignorant rantings? I remember being told by a date once that “black people outnumber white people in the United States.” That sounded ridiculous to me, but at the same time, did I know the exact population breakdown by race in the United States? No. Not until I got home, anyway, and looked it up. Also I think I like being a bit of a know it all. My 5th grader has started Shakespeare – but a seriously truncated Shakespeare, more like excerpts. It fits on 4 photocopied pages and the introduction has a blurb about the Lancastrians having as their emblem the white rose and the Yorkists the red. Say what?? How lazy is that? You don’t need to read English history for that, you just need 5 seconds on Google.I wrote a note to the teacher to point out this error, which offended me to my core. (I’m including that even though I know it makes me sound a little like those people who edit library books. To those people: Please, keep your smarts to yourself and deface your own books.) I’m actually surprised that this Shakespeare segment they’re doing starts with Richard III – for some reason they’re starting with the historical plays (even though the kids have no context for them), then they’re doing the tragedies and then the comedies. Bit of a deep end, but the plays are so abbreviated I suppose it hardly matters. I have problems with bowdlerized and abridged versions of literature but the kids are 10, after all. Back to my thesis! Our world presents an endless series of questions. How, what, who? And the big one, Why? I’m endlessly trying to answer those questions to my satisfaction, so I’m reading and reading trying to satisfy my need to know and to therefore understand. I believe that one’s experiences provide opportunities for personal growth, and this leads to the development of wisdom. If I can, by proxy, absorb the experiences of others who have been kind enough to write about them, then I can somehow assimilate those experiences into my own, to increase my own knowledge and understanding, in the hopes that this will lead to some kind of wisdom. Nutshell. I should also mention that this is my idea of fun. 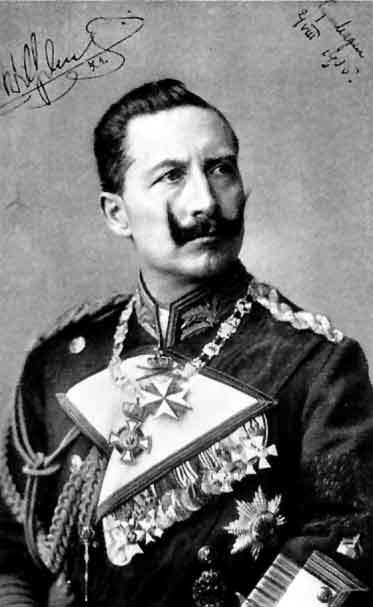 My husband can be rooting noisily for the Canucks while I quietly and happily absorb information such as the fact that though both Kaiser Wilhelm and Tsar Nicolas had no real military expertise, they were very enthusiastic about the design of military uniforms, chiefly their own, and they showed great fondness for gold buttons and braid. Because a big waxed mustachio requires bling. Is that fun or what?